Monthly Newsletter / Dr. Pat Gibson | Gibson Chiropractic Clinic, P.C. 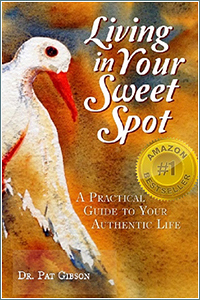 I am extremely humbled and grateful to all of you who have supported me in anyway to get my book, Living in Your Sweet Spot written and in production. Having it rise to be a #1 Bestseller on Amazon was more than I could have hoped for.